Moving your home can be an overwhelming process – even if you’re only going across town! At Apex Moving and Storage, the top moving company in Nashville, our goal is to provide exceptional customer service that goes above and beyond the competition. We want to ensure that your move is as easy as possible! The first step to excecuting a stress-free residential move is to plan ahead, and you can start by creating a moving checklist for the weeks leading up to your big day. · Reach out to your family’s medical providers and schools to gather records and start the transition to new providers. · Research Nashville residential movers and book your date! Apex Moving and Storage is a fully insured moving company in Nashville that will work with you to plan and organize all the services you need for your move. · Begin decluttering your home and pack items that you don’t regularly use. · Call utility companies to set up services at your new home and disconnect existing services. · Get insurance for your move. Check your homeowners’ insurance policy or purchase extra insurance protection through your residential moving company. · Hold a garage sale to cut down on any unwanted household items. · Stop into the Post Office and fill out a change of address form for all members of your family. · It’s crunch time and now is when you really start packing! · Donate any unwanted household items to charity or donation centers. · Make arrangements for your children and pets for the day of the actual move. · Pack an overnight bag for family members to ease the transition for the first night in your new home. The last thing you will want to do after a long day of moving is search through boxes for pajamas and toothbrushes! · Confirm all the details and provided services with your moving company. 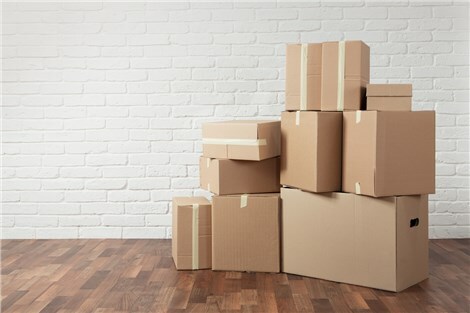 · Finish packing any items that you do not use every day! You’ll thank yourself the morning of the move if everything is ready to go. · Apex Moving and Storage has full-service packages to ensure your home is protected during a move. When movers arrive, give them the opportunity to place padding and protective sheets around your home to prevent any damage. · Most residential moves with Apex can be completed within one day – including unpacking! Carefully read over your moving agreement before signing and remain on hand to answer any questions and concerns. Also make sure to pay the driver before delivery. · Let the movers do the hard work! A top-notch moving company will have no problem with taking apart furniture and moving large items carefully out of your home. Moving doesn’t have to be a stressful process when you have qualified movers on your side! Give Apex Moving and Storage a call today for a free quote and to learn more about the moving process. Take a look at some of our comprehensive services when you have the chance too!